I’ve been feeling SO busy lately and even though I’m tempted just to throw on yoga pants I feel so much better when I’m wearing something a little more put together. 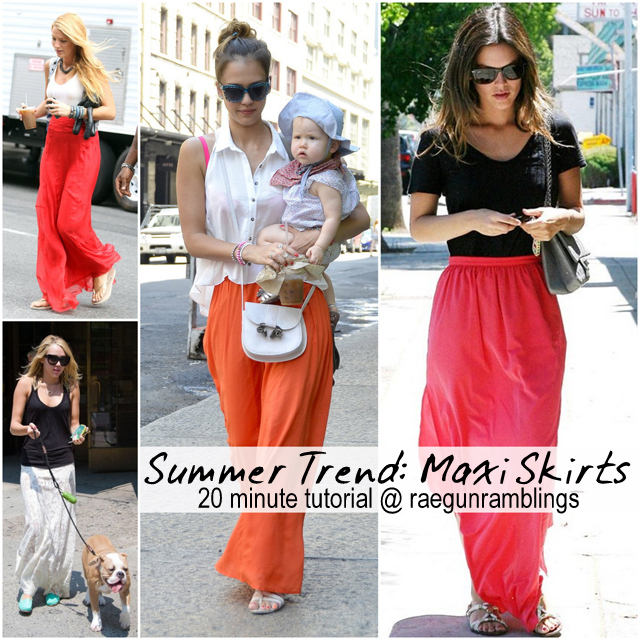 And this is why I’m such a fan of maxi skirts. They are just as (if not more) comfy as yoga pants but also feel like real clothes if you know what I mean. 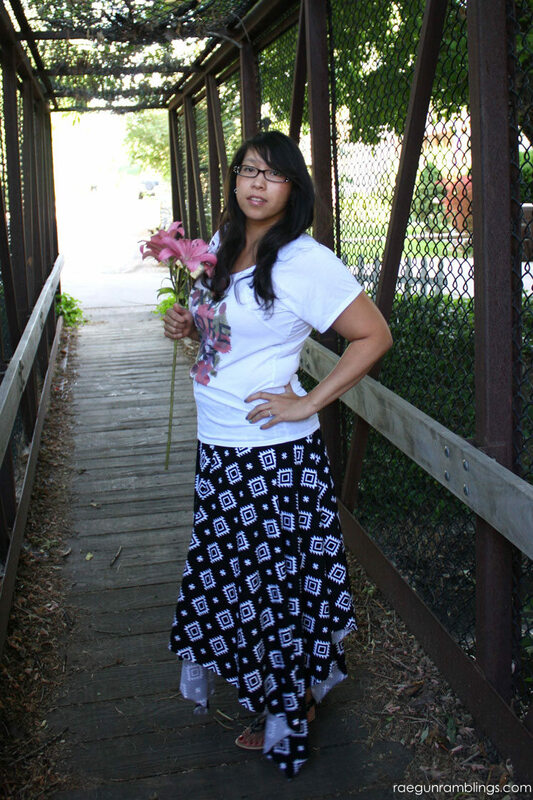 I have a ton of but I wanted something a little different so I came up with this fun twist on the traditional maxi. 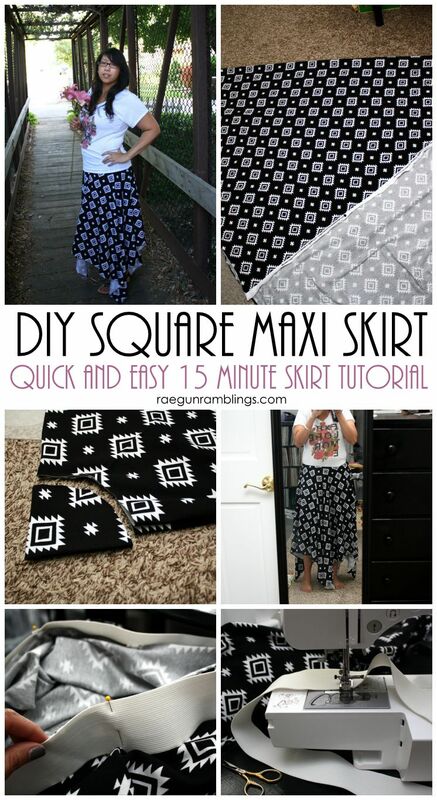 This Square maxi skirt is SO fast and easy and different I can’t wait to make myself more. If your fabric isn’t already a square make it a square. I did this by folding the width diagonal across my fabric and cutting it. This gave me a square that was 58×58 inches. With your fabric folded in half to make a triangle fold it in half again it should now be a smaller triangle. Next measure 3 inches out from the folded point of your triangle and cut the a curve. If you are making this for a child or someone very slim you might want to do some math and find the radius of waist circumference measurement. But since this is knit it will stretch some and if you need to you can always cut the hole a little bigger. 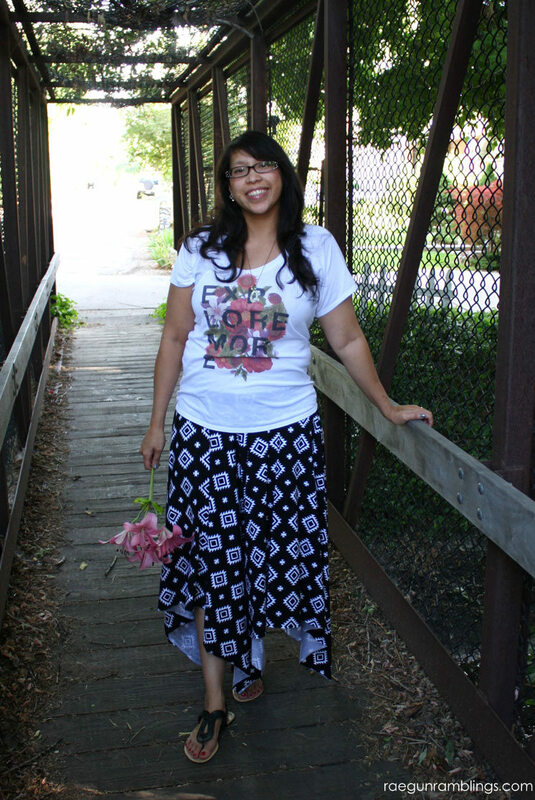 Try the skirt on and see if you like the length and to make sure the hole is the right size. It should rest comfortably at your waist when stretched a little and go over your hips easily. 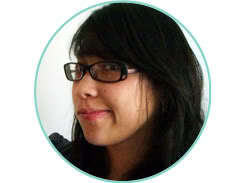 If you want to change the length you can trim the sides accordingly. Fit your elastic by wrapping it around your waist to what is comfortable. Remember that when you where it the elastic will loosen and the weight of the skirt will make it feel less tight as well. I like to do my waist measurement minus 4 inches. Next sew or serge your elastic into a tube. And zigzag the seam down into place. Pin the the elastic to to the outside of the skirt and serge or sew around. Flip the elastic up and you should have a skirt. You can leave the edges raw for a more relaxed look or finish the edge with either a rolled edge on the serger or my favorite knit hemming technique. Super easy right? I cannot wait to make more! 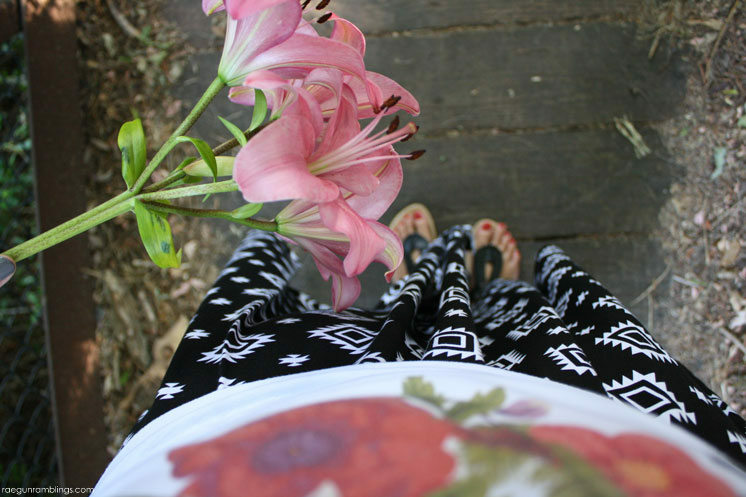 Want more easy skirt ideas see these other quick and easy skirt tutorials! 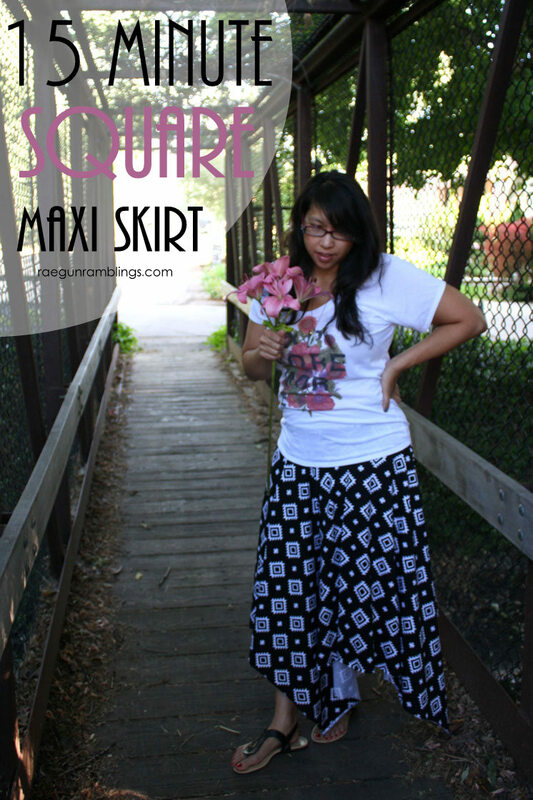 I shared the square maxi skirt on 7/22/2015 on the Riley Blake blog. Would this work in cotton?